Introduction and Uses: This annual herb features light green leaves and small white flowers. Its proven health benefits include- improving the digestive problems, maintaining the cholesterol levels, reducing body inflammation, improving exercise performance, curing eating disorders and promoting milk flow in breastfeeding. 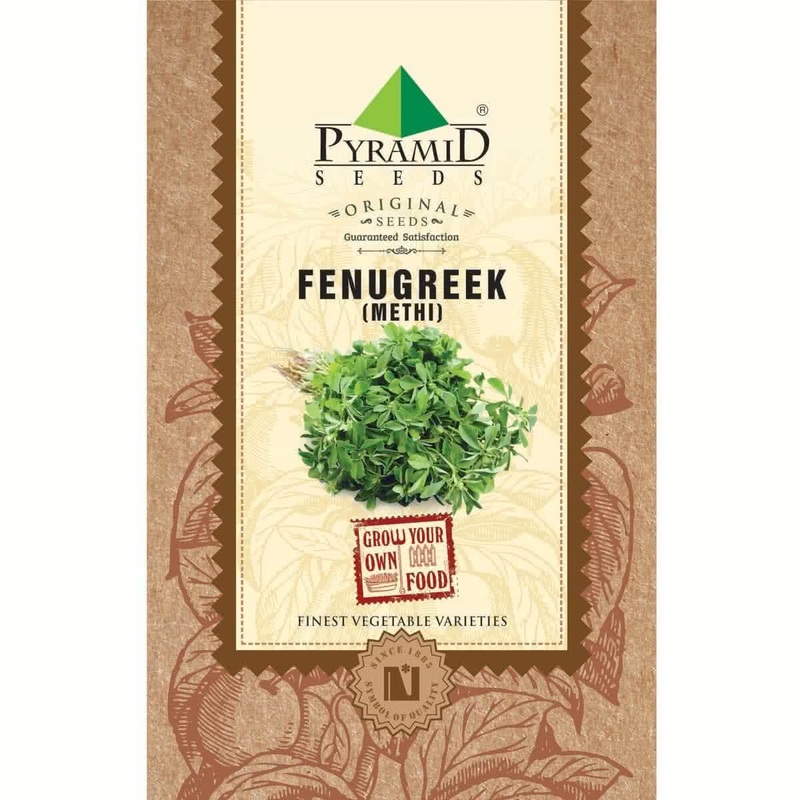 Sprinkle the Fenugreek seeds evenly throughout the surface. Do not worry about spacing. Sprinkle the soil over the container / seedbed to cover the sown seeds. Water the seed bed immediately by a light shower with a watering can. Baby Methi plants will be visible in 10 days. Mature leaves will be ready to harvest in 3-4 weeks. Sunlight: Fenugreek can grow well under partial as well as full sunlight. Watering: Water your fenugreek container / raised bed every day in the form of a light shower with a watering can. Sprinklers can be placed outdoors. Manuring: As mentioned earlier, add good quality organic manure in the soil with 2:1 ratio before sowing the seeds. Organic fertilizer can be well rotten cow dung manure, farmyard manure, compost or vermicompost. Microgreens: If you plan to grow microgreens Methi, grow it indoors in flat containers. Sow-scatter the seeds in a crowded manner. You can harvest it within 10 days by uprooting the baby plants. 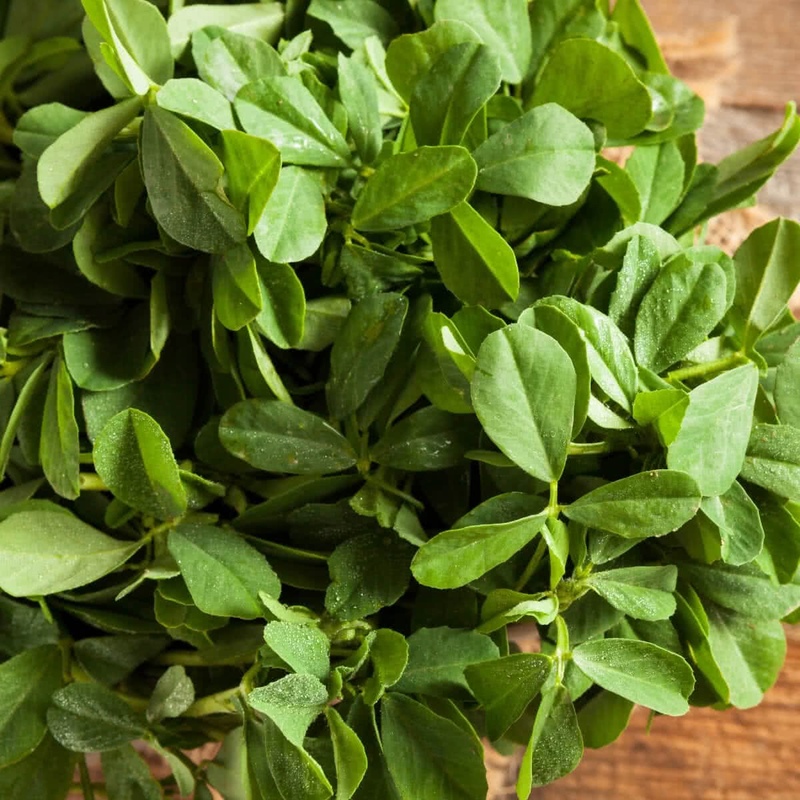 Harvesting: About 3-4 weeks after sowing, fenugreek greens can be harvested simply by pulling out by the roots.